2.1 How long can you stay visa free in Hong Kong for Filipinos. Flights to Hong Kong are direct from Manila, Philippines. – simply book a ticket and head over to the Ninoy Aquino International Airport for your scheduled flight. The flight takes a total of around 2 hours and 25 minutes. Some carriers are Air Asia and Cebu Pacific and Philippine Airlines. From Macau, on the other hand, there is a ferry which can take you straight to Hong Kong. There are two ferry companies you can choose to ride with, the Turbojet service and the Cotai Water Jet service, depending on your needs and preferences. You may book this via KKDAY. The Turbojet service runs up to 5 times per working day, and the ferry ride takes a total of around 55 minutes on average. The Cotai Water Jet Service, on the other hand, runs up to 35 times per working day with a slightly longer travel time of 1 hour. You can also book a ticket to the Clark International Airport in Angeles going to Hong Kong with a fight time of around 2 hours, 5 minutes. How long can you stay visa free in Hong Kong for Filipinos. The fact that Hong Kong is visa free for Filipinos is a huge privilege to have – but tourists also must be careful not to overstay. The amount of time you can safely stay in Hong Kong visa-free is a total of 14 days. When coming into Hong Kong, the immigration officials will have you fill up an arrival card and also return your departure card when you’re ready to come back home – so make sure not to lose them. Failure to comply with the rules can cost you a hefty fine of upwards of 2 million pesos or even up to 3 years in jail. There are different ways you can get to the city from the airport, via the Airport Coach Transfer, Airport Express Train, and the Bus. All of these transportation can be made easier with the help of an Octopus Card from KKDAY which helps you travel all around Hong Kong with a variety of different transport options to choose from. With KKDay, you can ride on the MTR, buses, ferries, trams, and taxis. – Redeem your Octopus Card from counter A09 at the arrivals area of the Hong Kong International Airport. Insert your octopus card at the ticketing station, or the driver/conductor at the transportation option you choose. An important thing to remember is that buses don’t accept change, so it’s better to top up your Octopus Card with some cash – it’s refundable, anyways, even the card holder via KKDAY. With this option, you can book a coach directly to your hotel or wherever you’re staying, which makes for added convenience. It takes longer than the Airport Express Train, but you don’t have to deal with figuring out how to ride the trains or looking around for directions. This is the quickest way to reach the Hong Kong city centre out of all the available travel options – and you receive a good discount with your KKDAY octopus cards, as well. This transportation option is as quick as around 24 minutes and runs all days of the week. 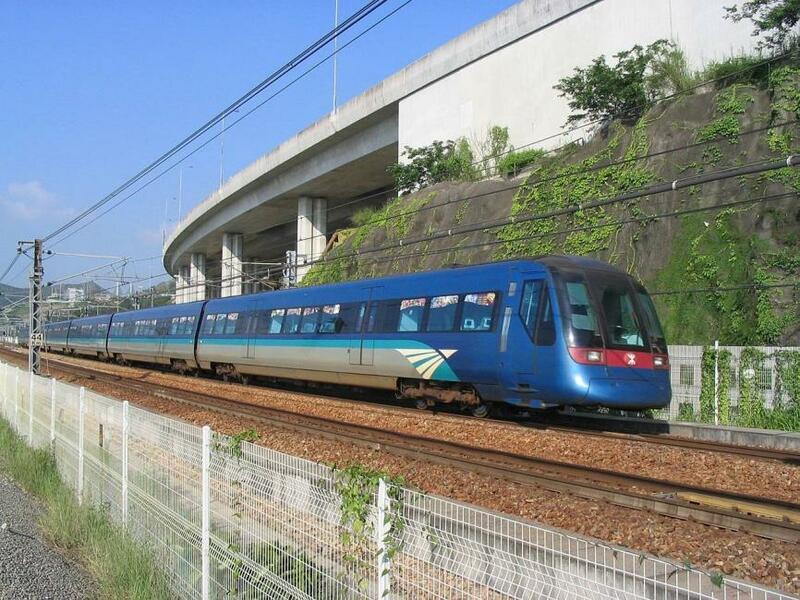 I took this option with this package Airport Express Train for convenience. You also claim it on A13 at the arrivals. It’s very easy. The bus is the cheapest travel option coming from the airport. The downside is that it takes longer – around 75 minutes, and run from 5:30 to 11:00 PM daily. You can also use your octopus card for this travel option. While you can pay traditionally and straight with cash at public transportation, it’s a lot more convenient and cost efficient to go with the Octopus Card – it saves you money, even, because you’ll have 3 days unlimited selected transport during your trip. 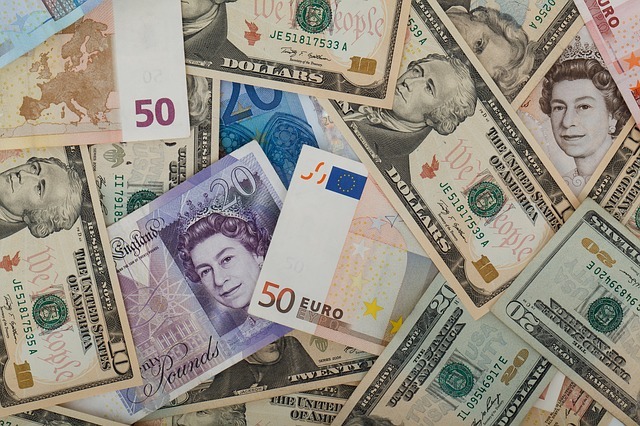 You can even top up the card with more cash for hassle free travels. Other than ride on transportation, you can also use the money in your Octopus Card to make transactions at some stalls and restaurants. It’s easier to find your way around Hong Kong with the use of internet. You can buy everything you need at the Hong Kong airport, from SIM cards to portable pocket wifi units. I used a pocket wifi from KKDAY that you retrieve in A11. It’s really easy and hassle free. It even comes with a multi port socket where I can charge my other gadgets. How cool is that? 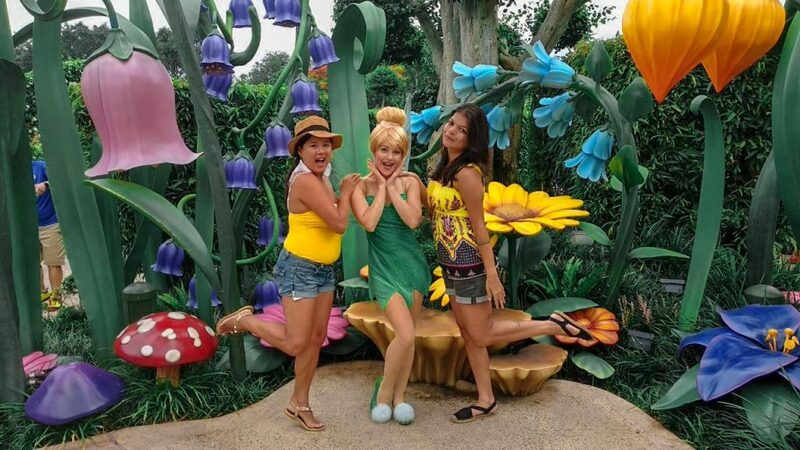 Disneyland is one of the most popular sights to see in Hong Kong, and sometimes it’s even the only reason some visit. They have seven different attractions to see, Adventureland, Fantasyland, Toy Story Land, and more. the evening. Unfortunately, the firework displays are currently postponed, but you can still enjoy the other events available. One of my favorite show is the Festival of Lions— it’s like a summary musical of the Lion King. I had goose bumps, I really loved it. 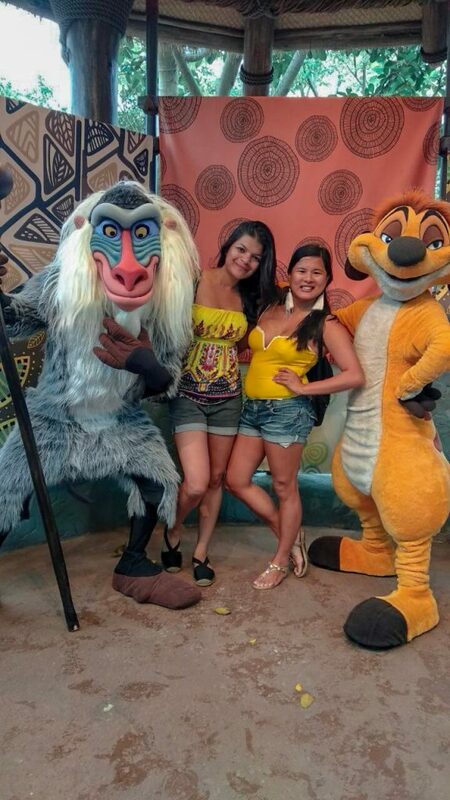 Book your Disneyland Tickets via Hong Kong KKDAY very easy and hassle free. 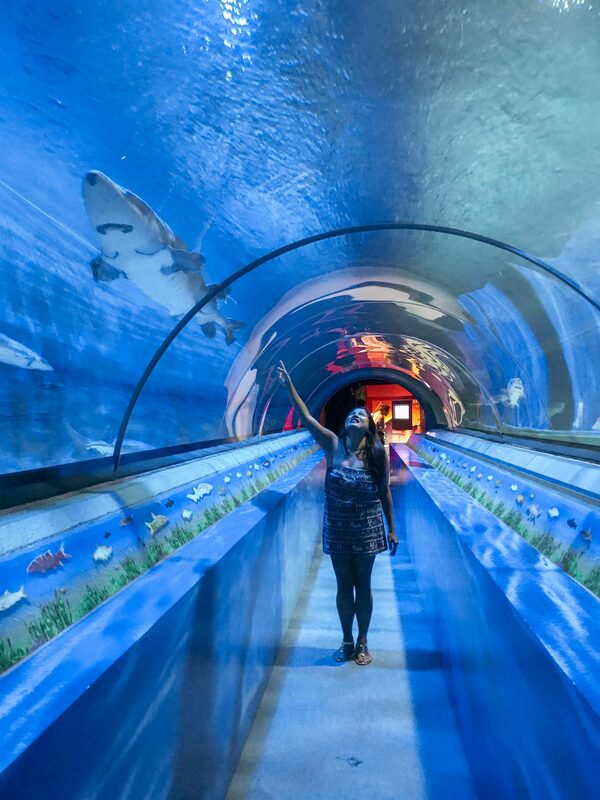 Aside from Disneyland, the Ocean Park in Hong Kong is another top pick among travelers. At the ocean park you can catch different marine life as well as shows involving them. There are also endangered birds and butterflies which are taken care of in the area. Aside from exhibits, there are also two water rides and four different rollercoasters, plus many are miscellaneous rides. 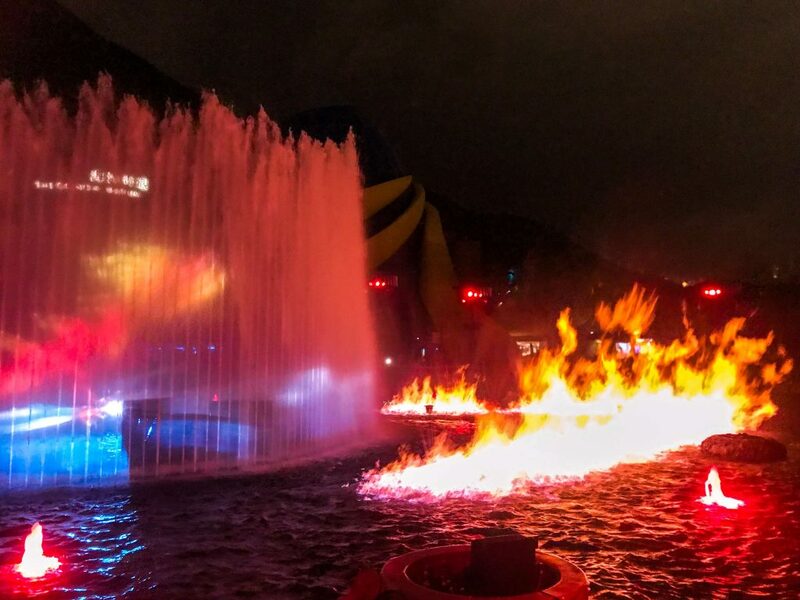 They also have beautiful light shows featured before closing time during the evening, where there a beautiful and colorful fountain displays and even fireworks. 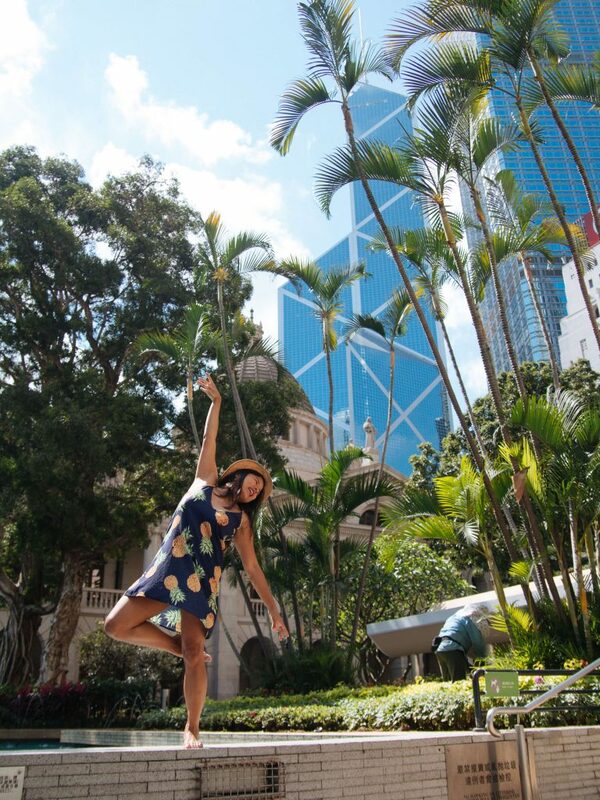 Victoria Peak is a popular destination because of the amazing views and shots you can get of Hong Kong from the top. You can reach it via the Peak Tram, a 120 year old railway. Visits to the Victoria Peak are best made during the sunset or night for fantastic views of the city lights. Lantau is a small island in Hong Kong which is a haven for avid shoppers because of their mall. Aside from shopping, they also have lots of Buddhist Architecture such as the Big Buddha and Wisdom Path, as well as a long sandy beach where you can go for a swim. To get there you have to ride a cable car which features exciting views of the city down below. Ngong Pin 360 is the name of the cable car that will take you to Lantau Island. The scenic views are breathtaking, and the ride adds a lot to the experience of visiting the island. The lines for the cable car tend to be long, but you can skip it with the help of KKDAY tickets, which are cheaper than booking directly. You can also choose from a regular cable car or one with a glass bottom to more easily see and snap pictures from down below. 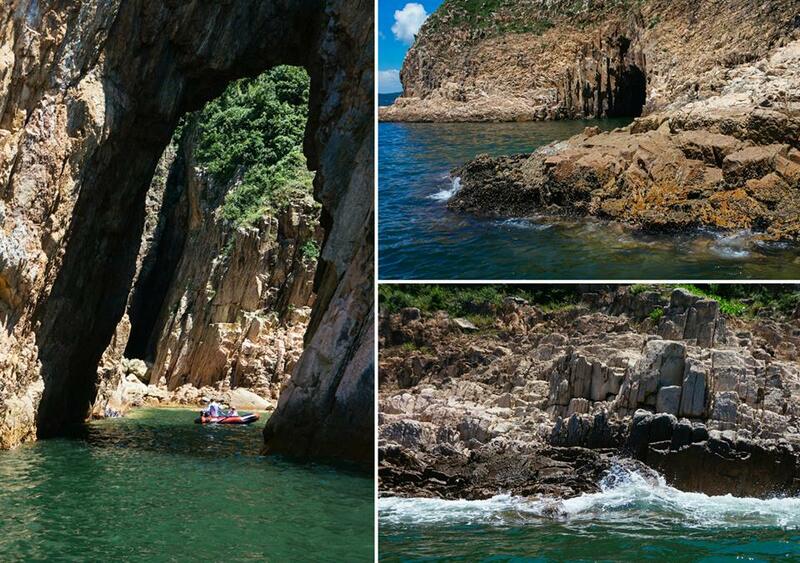 This Volcanic Rock Region in Sai Kung is a sight to see – you can book an air conditioned coach ride near the region to bask in the sight and take pictures of the volcanic rock columns that look like they have been scraped over with fingernails. The tour of the Volcanic Rock Region is part of the Hong Kong Geopark Tour package and takes a total of around four hours. The Sharp Islands feature geological formations like the Tombolo and Pineapple buns, some of which are as old as 140 million years. The tour around the area involves around two hours of hiking. 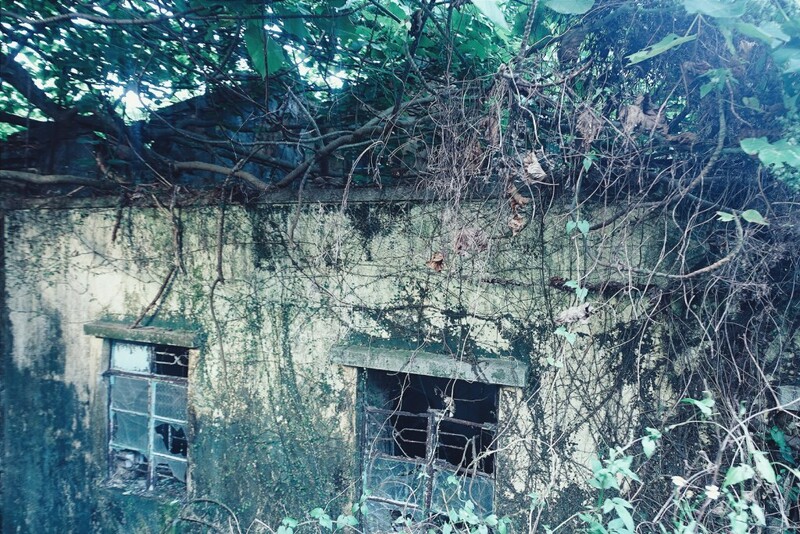 Yim Tim Sai is a tiny little island off the coast of Sai Kung, which has been abandoned for years but has recently been reintroduced as a heritage site. The residents hundreds of years ago used to make a living via agriculture and salt-making and you can see different attractions such as abandoned salt farms, St. Joseph’s chapel, and the statue of St. Joseph. You can reach this tiny island via a private ferry. 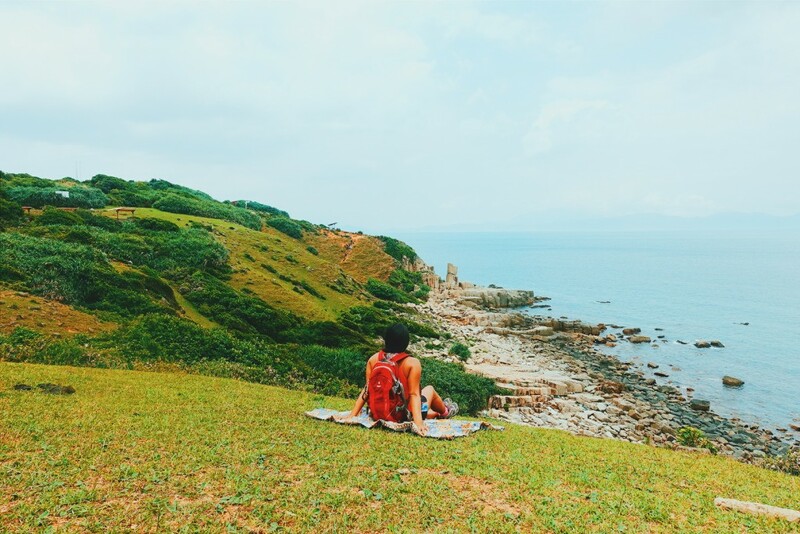 Also called Grass Island, Tap Mun features green meadows and clear waters. Aside from nature there are also fishing communities where you can dine on freshly caught seafood. 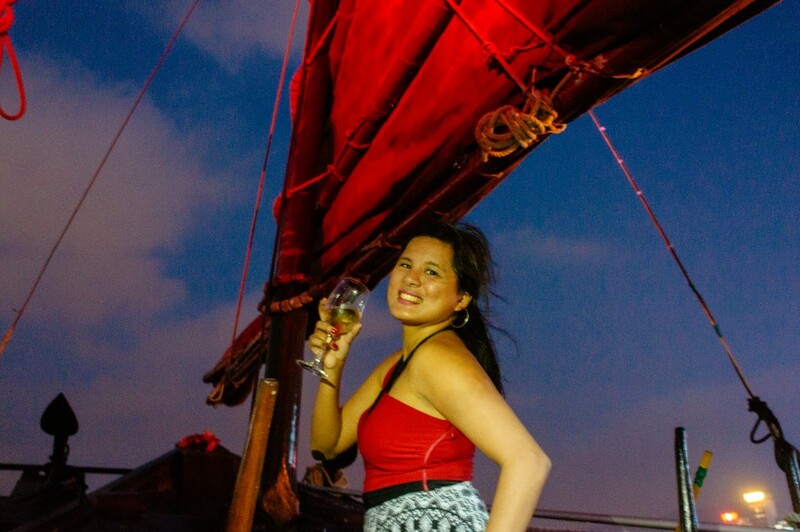 The DukLing Harbour Cruises located at Kowloon are a great way to end a day. It is a 45 minute cruise which costs $230 per adult. Aside from the Harbour Cruises, they also have the DukLing Harbour Cruise & A Symphony of Lights where you can see Hong Kong’s world-famous light show from the harbour. This cruise, on the other hand, costs $280 per adult. Both cruises are located on an authentic Chinese ships for the best experience. Escape rooms are popular all over the world, and Lost Hong Kong is a great escape where you are given 45 minutes to escape the locked room. 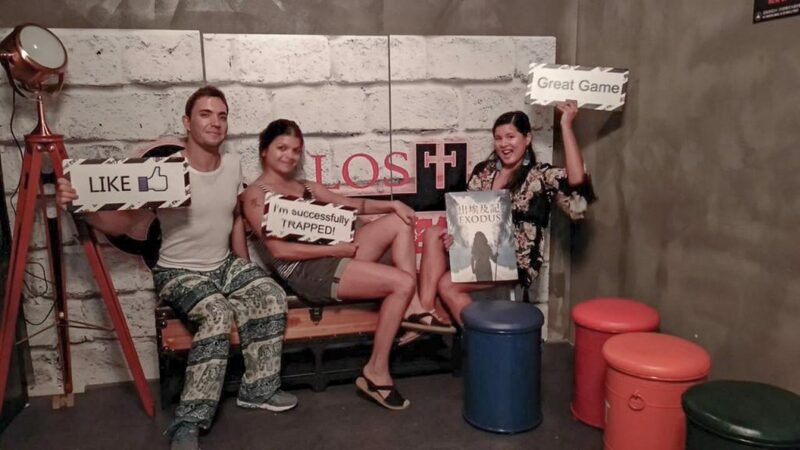 Lost Hong Kong gives you a lot more room options than typical escape rooms, a grand total of 12 to be exact. All of them have different themes and are set in different locations, such as the Aokigahara (suicide forest) and the Alcatraz set in San Francisco. They have two branches, one at Causeway Bay and Mong Kok. The Starstreet Precinct feels like cultures from all sorts of different countries combined into one location. Here you can do practically anything – go on a culinary adventure which restaurants serving Italian or Vietnamese cuisine, and shop at boutiques selling French and Italian designer brands. Ted’s Lookout on Moon Street in particular is a Tex-Mex restaurant with delicious, hearty meals — perfect for brunch with friends. To get there using the MTR, exit Admiralty Station Exit F and follow the signages leading to the precinct. Hong Kong may be home to city life and skyscrapers but Poho exhibits the more creative side of the country. It is a hip and trendy neighbourhood with lots of quirky stores and unique restaurants. It is also a great place to take photos, there are lots of graffiti, street art and picturesque locations in the area. To get to Poho via the MTR, you Exit C at the Sai Ying Pun station and walk until you reach the area. Soho, on the other hand, is where you can splurge a little and enjoy the finer, upscale cuisine and shops that Hong Kong has to offer. They also have cheaper attractions and food – the area has lots of street food around, such as delicious dimsum and fishballs. You can also stop by at the Cat Street market for souvenirs, and there are lots of bars, museums, and temples you can visit in the area as you walk along the path. To get to Soho via the MTR, Exit D2, walk straight along Queen’s Road Central towards The Center and take the Central Mid Levels Escalator to Staunton street. Wan Chai has bright and bustling city culture, delicious restaurants and bars, as well as street markets filled with various trinkets from typical souvenirs to even live turtles. The main business district in Hong Kong is home to lots of exciting attractions such as the Victoria Peak, where you can look over the beautiful skyline of Hong Kong, Lan Kwai Fong for dining and drinking, as well as Victoria Harbor for watching spectacular light shows during the evenings. Another urban haven in Hong Kong, this is where you can find high end hotels such as The Peninsula and The Kowloon Hotel. It also has lots of exotic restaurants, even having its very own Koreatown. Aside from the hotels and nightlife, shopping is a popular thing to do in Tim Sha Tsui. Some shopping malls are 1881 Heritage, Harbour City, and iSQUARE. Mongkok is a great place to get a taste of what it’s like as a local – both literally and figuratively. It’s known for its amazing local street food, markets where you can try out your haggling skills, and shops selling practically anything you can imagine. They even have an entire street dedicated to just sneakers. Sheung Wan mixes both exotic Hong Kong culture as well as modernity. Notable spots include the Western Market for handicraft goods, and the Koh Shing Street to watch ancient Chinese medicinal practices. Aside from the exotic stops, they have delicious cooked food at the Queen Street Cooked Food Market where you can have a bite of authentic Hong Kong dishes – their dim sum in particular is very popular. Hong Kong is known for having some of the best bars in the world—and MEZCALITO is one of them. 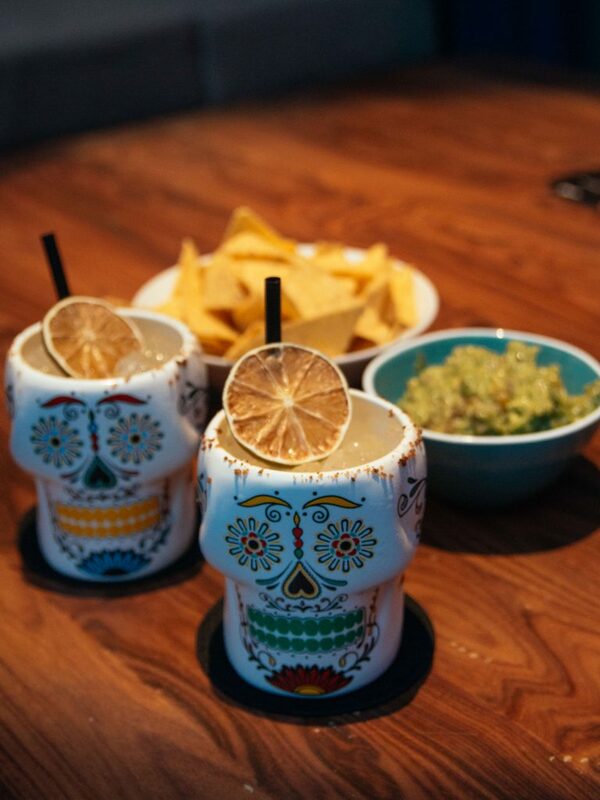 It is inspired by the Mexican culture and spirit, and they serve lots of international beers and high end drinks, many of which you can only find at the bar and not many other places in the country. Tequila is the favourite drink amongst visitors. They have a happy hour every 6-8 PM every weekday for deals on selected drinks. The Crowne Plaza is a hotel located at Causeway Bay. It is a high end hotel which is a great place to stay during your trip but comes at a hefty price – even if you aren’t staying at the hotel, you can still avail of their delicious buffet at their restaurant Kudos and Club @28. 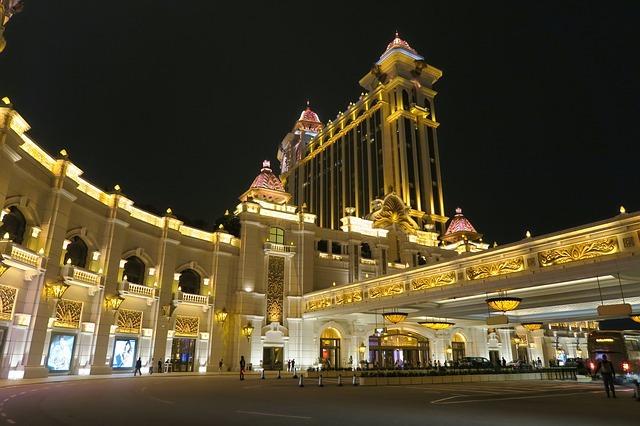 – Casinos: Macau is very well-known for their casinos, so much so that the country is even considered Asia’s gaming capital. The City of Dreams and Hard Rock Casinos are some of the best ones to visit. – St. Dominic’s Church, Lou Kau Mansion, Ruins of St. Paul – These three are old buildings in Macau which have a lot of history behind them, like Portuguese influence and the beautiful combination of both Asian and Western architecture and design. – Long Wa Teahouse – Long Wa Teahouse is a place which serves traditional Chinese tea – the best tea in Macau, as many visitors say. – A-Ma Temple – This temple is a significant and beautiful temple surrounded by trees and greenery and venerated by people of the Buddhist, Taoist, and Confucianist faith. It is where Macau got it’s name. – Guia Fortress and Guia Lighthouse – A beautiful lighthouse where you can get views of the surrounding area and beautiful chapels. The walk to the lighthouse is quite long. 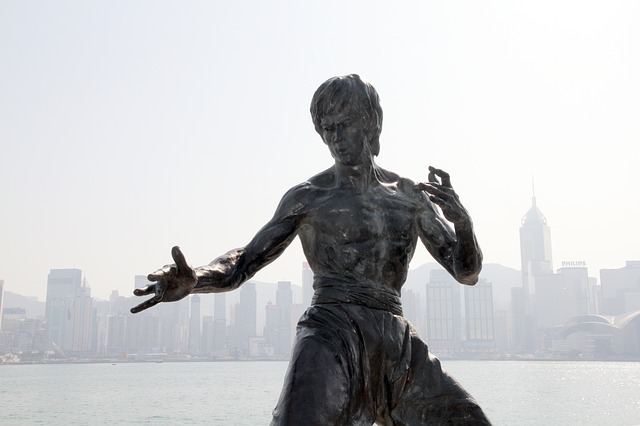 There are many different ways you can go about seeing the amazing attractions that Hong Kong has to offer, and its best to take your time, but here’s an itinerary to help you out if you only have a limited amount of days. Hong Kong is known for being a very modern city, but before you get into that sometimes its best to know the tradition and history behind it. Victoria’s Peak: Start your trip off with a bang by seeing the wonderful views on Victoria Peak, which gives you a wonderful view of not only the city skyline but also the tiny islands and mountains off in the distance. It’s also best seen during sundown for those glittering city lights in the night. Victoria Harbour: Once you’re done snapping shots of HK from up above, you can take a stroll along Victoria Harbour and see the boats on the water — or you can book a DukLing cruise for yourself, setting sail on an authentic Chinese ship to see even more of Hong Kong’s sights and sounds. The Harbour is also a great place to be at night, because that’s when the “A Symphony of Lights” light show is displayed. Tsim Sha Tsui Promenade: A place to get a feel for the culture of Hong Kong. It’s where you will find the Hong Kong Cultural Centre as well as the Tsim Sha Tsui Clock Tower, Avenue of Stars, Hong Kong Space Museum, and the Hong Kong Museum of Art. At night they also have beautiful light shows. 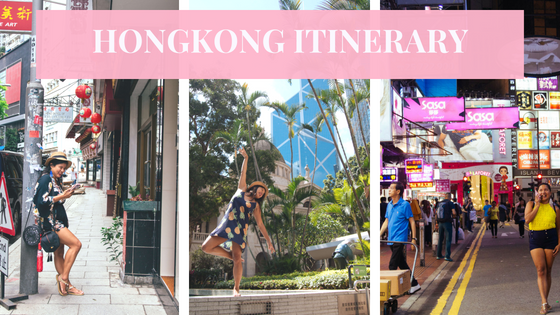 – Mongkok: If you want to dive right in, into the crowds and hustles of Hong Kong, then you might want to opt to go to Mongkok instead of Tsim Sha Tsui. Despite the crowds, Mongkok is a great place to hunt for cheap bargain goods. If you’re hungry, the lively Temple Street Night Market is open for dinner with a variety of meals and snacks. Disneyland: Going to Disneyland takes up a large chunk of your time because of the lines-especially during the peak season. Make sure to either get there early, or book a ticket with KLOOK and KKDAY for discounts and a shorter line to deal with. Aside from many themed locations and rides, Disneyland also features its very own resort. Ocean Park: Ocean Park is filled with lots of interesting exhibits and fun shows featuring ocean life – a great place to bring children. Aside from the animal-related exhibits, the Ocean Park also hosts a variety of different rides. 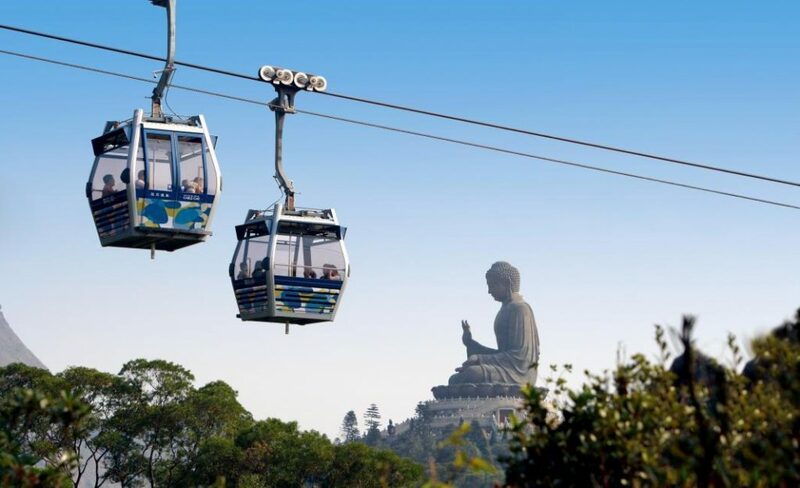 Go to Lantau Island and ride the Ngong Ping: A ride on the Ngong Ping cable car is a very relaxing experience – try and book the car with a glass floor for better views of Lantau Island down below. 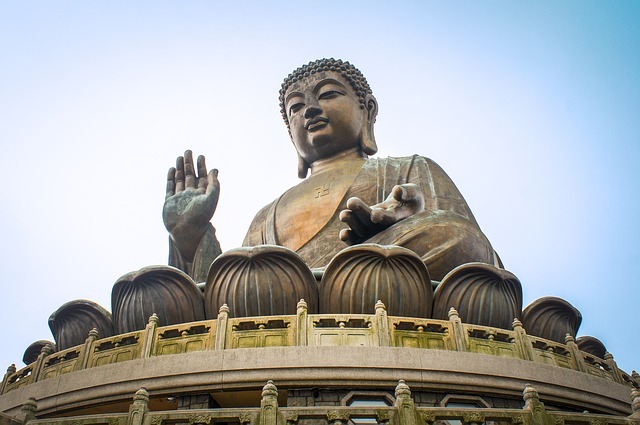 Big Buddha and Po Lin Monastery: You can see these at Lantau Island – two religious structures which reminds one of the roots of Hong Kong. The Big Buddha is best seen at night when it is illuminated with gold lights. 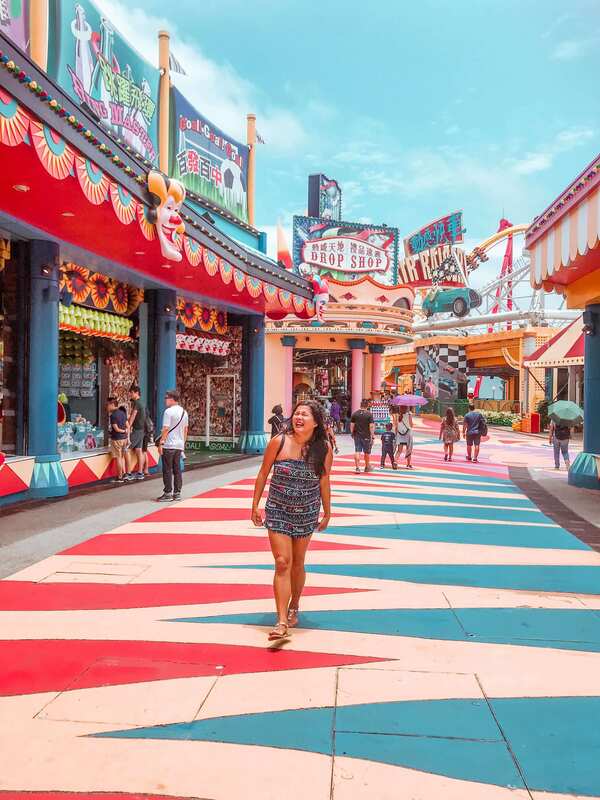 Nowadays, a lot of people also enjoy taking Instagram photos so this day you can dedicate to visiting some of the instagrammable shots of Hong Kong or you can also explore the different markets of Hong Kong. 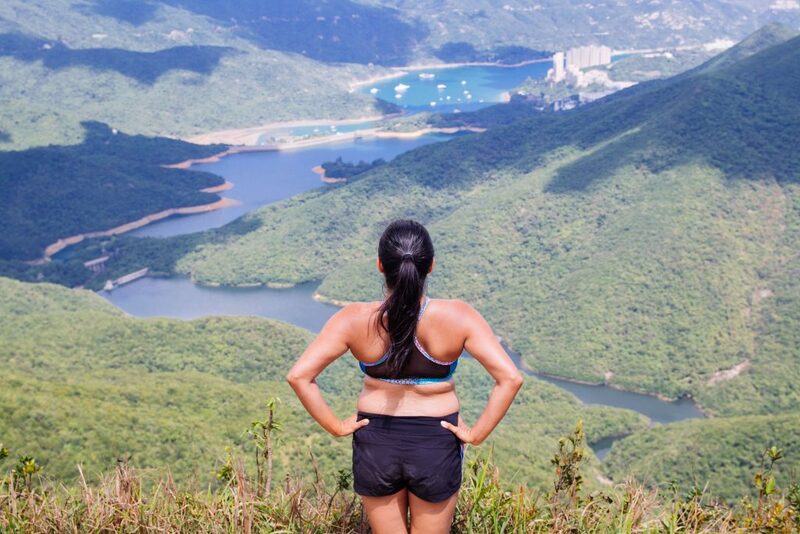 or Go Hiking and see a different view of Hong Kong. You can hike the Stanley Gap trail, High West, Lion Rock or the peak . The ferry from Hong Kong to Macau is short — taking only about one hour. This leaves a good amount time to explore the small region. Casinos: Very popular among tourist, a bus at the terminal takes you directly to Macau’s most popular casinos. Historic Centre of Macau: A good place to visit if you want to get the most out of your stay in Macau by finding out the history behind it. Explore Ruins: Ruins of St. Paul Monte Fortress, old city walls, and more. Temple visit: The A-Ma temple, one of the oldest temples in Macau, built in the 15th century. 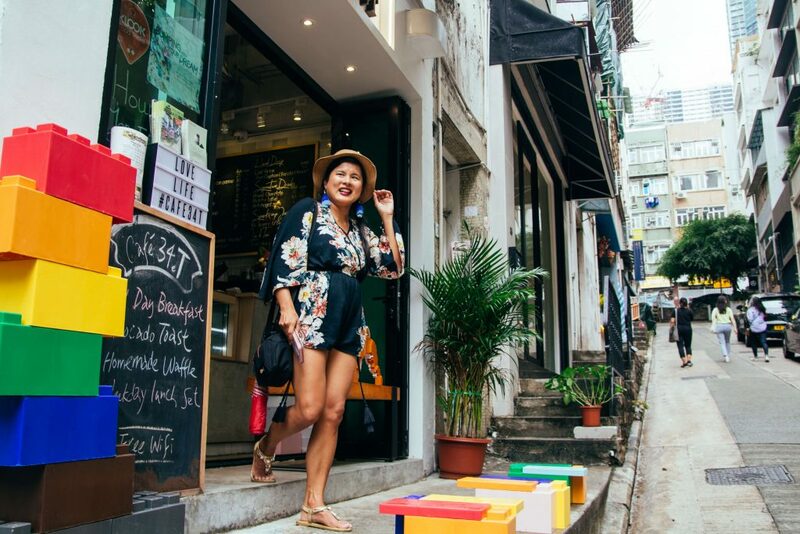 Humid with a Chance of Fishballs is a walking tour founded by Virginia Chan, one which will tour you around a good amount of the delicious eateries in Hong Kong – some hidden from the public eye and some not. The tour takes a total of four hours. You’ll get to see the wet markets where you can see lots of fresh seafoods and meats. The food tour itself appeals to all senses – salty, sweet, bitter, sour, and spicy. Each stop’s theme consists of one of the senses which makes for an exciting and fun-filled tour. Also, this tour visits a neighborhood not common to all, so if you wan’t to visit a less touristy area, this is for you. We tried the Sham Shui Po one and the food was amazing. What I loved about this tour is the fact that they even give back to the community. This neighborhood is the opposite of Central, still busy but you will see a lot of locals and dfiferent types of wholesale shops. Shopping here is cheap. Also, you will see a lot of street art in the community, it is definitely an up and coming neighborhood. 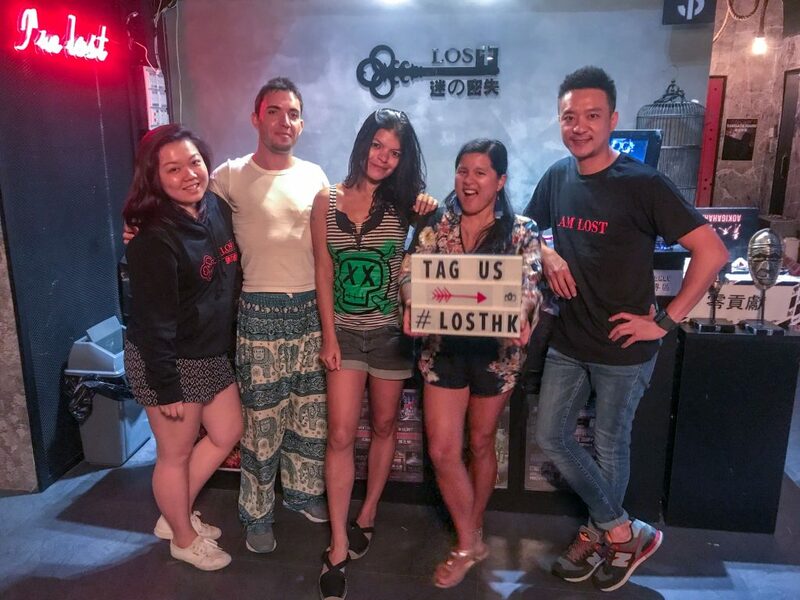 After having a delicious meal, playing at the escape rooms in Lost Hong Kong is a good way to get your adrenaline pumping again. Choose from a wide variety of escape room themes and if you want to go again, they have a discount if you play immediately after your first game. A day trip to Sai Kung is a must for those who love to hike and adventure—it’s a big change from Hong Kong’s city life, with streams, beaches, rives, and geological formations. 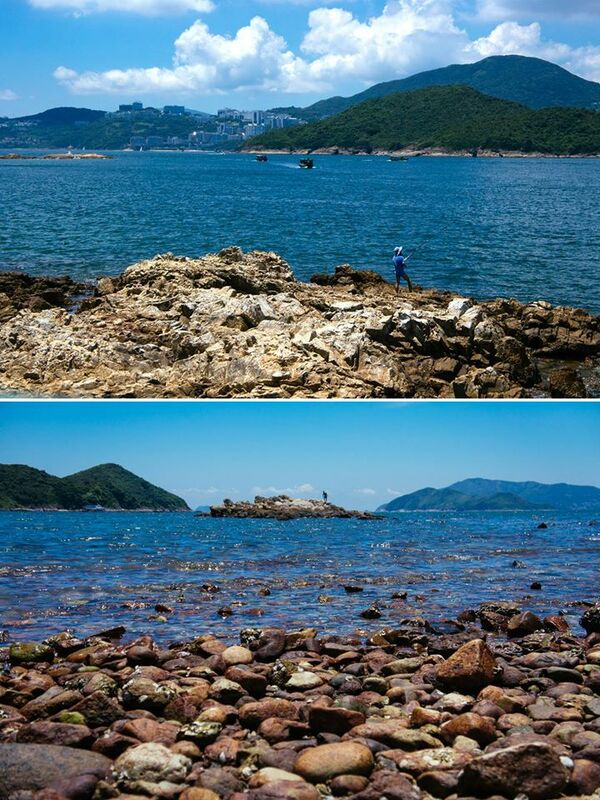 Sai Wan Beach – Good for an hour hike, and best for beginners since the trail to the beach is fully paved. Geological Rock Formations – Lots of rock formations, the geopark tour takes a lengthy four hour hike, but the sights are amazing. Sa Island and Grass Island – For camping, hiking, swimming, and fishing. The Repulse Bay is a nice beach which isn’t usually completely swarmed with tourists. Aside from being a nice place to swim and lay out in the sun, there are also lots of activities and dining areas just a few steps away from the beach area. 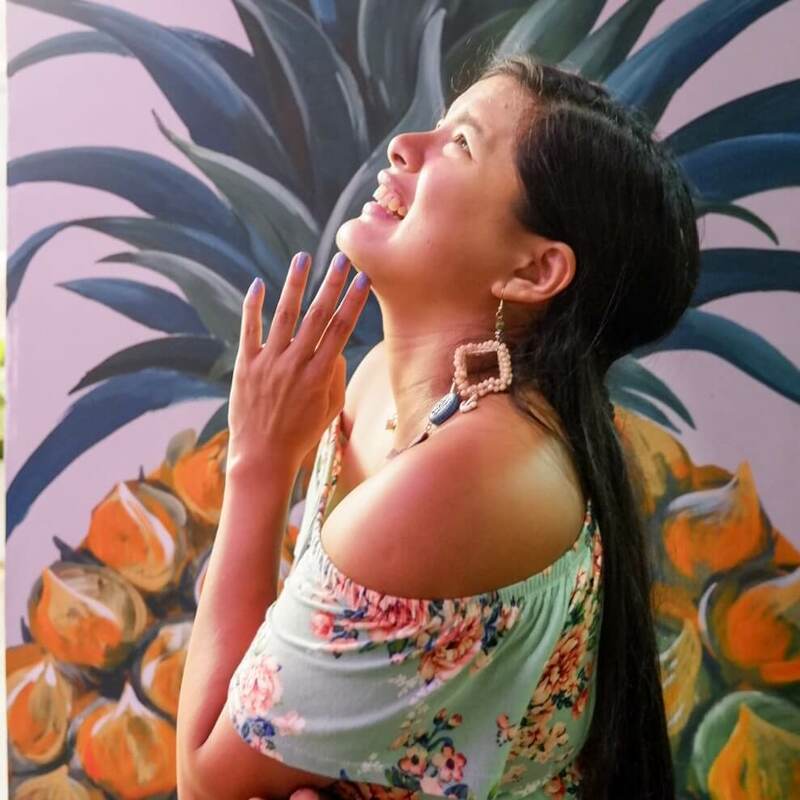 – Anastasia’s Art House: An art academy near the inspiring beach where you can learn a new art trade, be it painting with oil, acrylics, or watercolors. – The Pulse: A newly built shopping center with lots of clothing stores, restaurants and boutiques for you to choose from after you’re done playing in the sun. Stanley is a quaint and peaceful peninsula at the southern tip of Hong Kong which is far less crowded than the heart of the city, but still with lots of activities. – Stanley Market – While the prices at the Stanley Market tend to be a little bit higher than usual given that the area caters towards tourists, it is still a great place to visit because of the nice atmosphere and also the wide variety of trinkets to choose from. – Stanley Main Beach: The Stanley Main Beach wonderful for a walk after a long day touring around. While it isn’t the most breathtaking beach in the country, it’s a great place for a stroll along the shore. Murray House: The Murray House is an attraction that fuses history and fun modern activities into one. 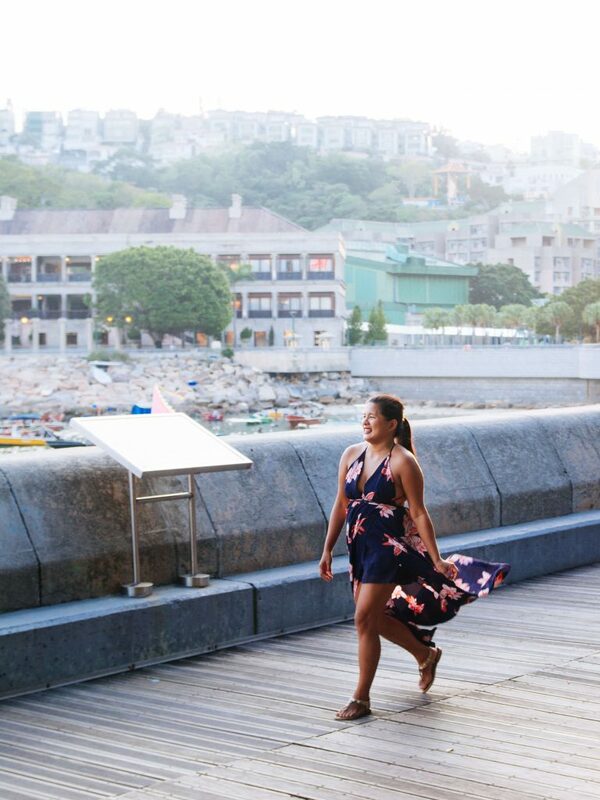 It is a 160 year old restored colonial barracks which is now home to a variety of different shops and delicious restaurants serving both international and authentic Hong Kong cuisine. There’s always more to Hong Kong that you can visit but this is a good place to start. Have you been to Hong Kong? Tell me what your favorites are.